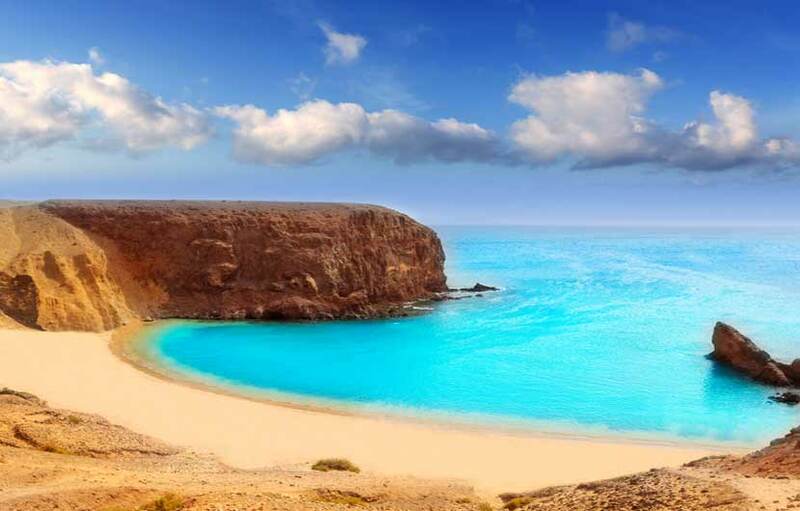 Lanzarote is part of the Canary island chain located around 90 kilometers from the African coastline, the Canary Islands are made up of nine islands which are visited by millions of holiday makers every year. 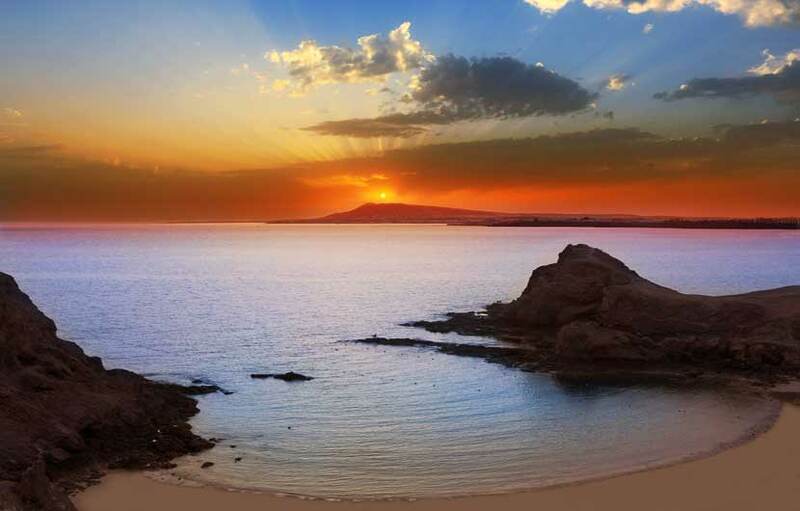 Each island is famous for its natural formations, undying beauty and enviable warm climate. Volcanoes, unique flora, stunning scenery and luscious beaches are some of the reasons why holiday makers flock to these Atlantic Islands every year. The island boast a unique tropical climate which keeps the temperature around the mid 20 degrees Celsius all year round. This fantastic climate is due to the warmer waters which flow up from the equator. Strict tourism guidelines put in place by the local authorities have meant that although a booming tourism trade has brought many hundreds of thousands of visitors it has ensured the preservation of the islands natural beauty. The three main resorts of the island are Playa Blanca, Puerto del Carmen and the Costa Teguise, each a mix of golden, white and black sandy beaches. Lanzarote has been declared a UNESCO World Heritage site and it is easy to see why, considering the two of its famous natural attractions such as Mirador del Rio – which offers a spectacular panoramic view of the Chinijo Archipelago, and El Golfo, a semi circular crater absolutely impressive, made of stone, inside of it being a blue-green lagoon surrounded by black sand, red rocks and the dazzling blue ocean, giving you the impression that is coming from a completely different world. Sun and water sports lovers will adore Lanzarote, and there are many opportunities to enjoy diving, wind surfing, boating and skiing. We have compiled a comprehensive Spain travel resources page to help you plan and book a trip or holiday to Lanzarote including a money saving hotel search comparison platform, travel insurance, flights, discount car hire, tours, excursions as well money saving travel and holiday deals. 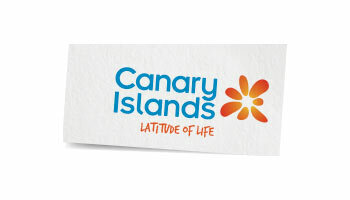 Lanzarote is the oldest of the Canary Island chain and created some 180 Million years ago. 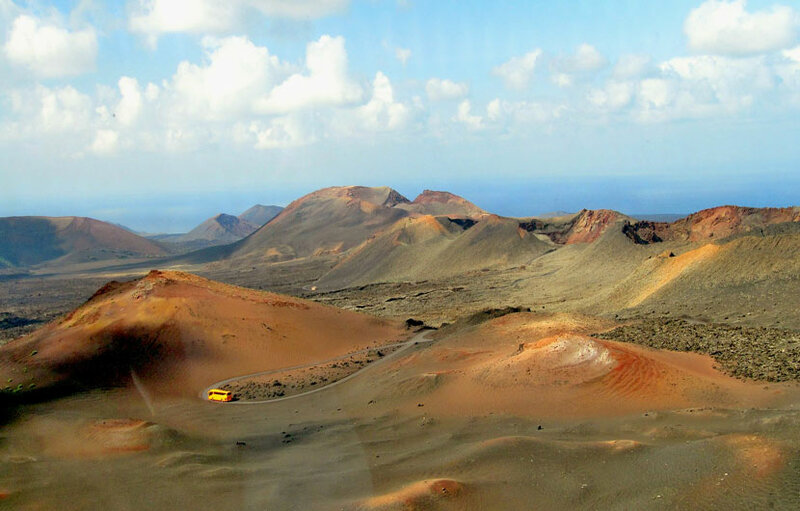 Lanzarote is a volcanic island and each eruption has made the island larger as the lava flows and gets cooled down by the sea. Thankfully the last major eruptions where in the 1700,s. 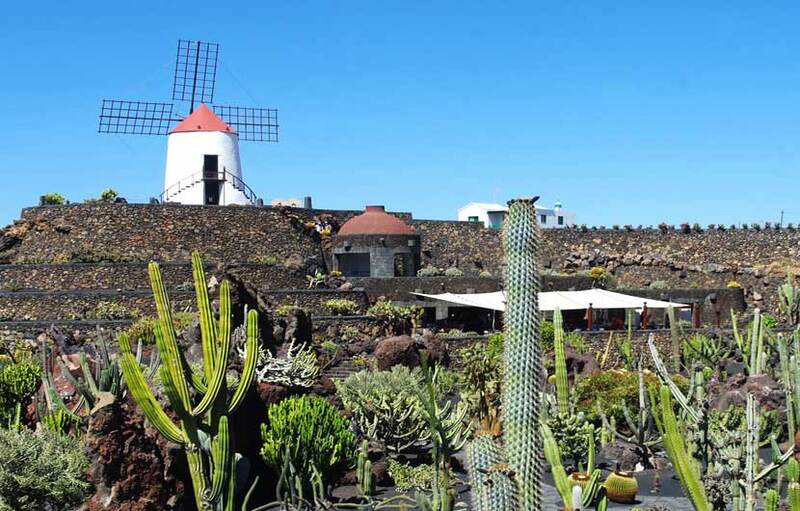 The first settlers on Lanzarote came from Africa around 5 B.C and where called Moja. The island makes it own wine, the vines have been adapted to withstand the high winds that frequent the island and to grow in the unusual volcanic soil. 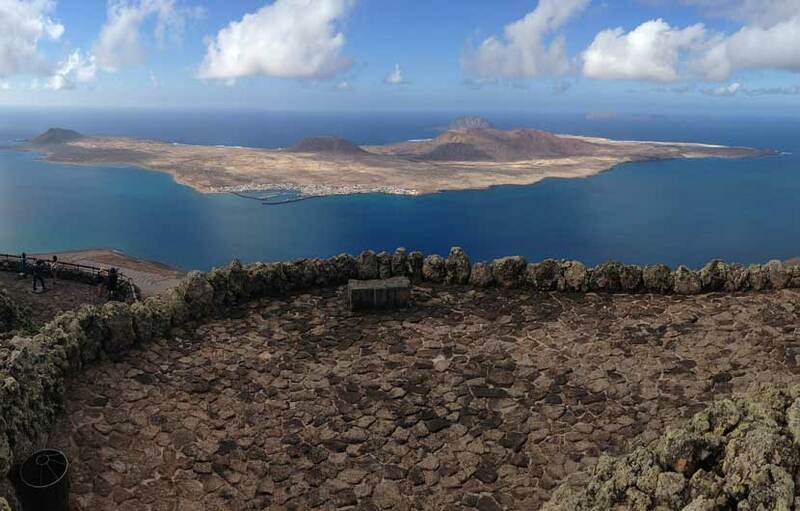 A trip to La Graciosa island located off the northern tip of Fuerteventura is definitely a place you should visit, a wonderful bio reserve with it's Martian like landscapes and pristine white sandy make this a unique attraction. Regular boat trips are available from Orzola to the small village of Caleta de Sebo on the island. For the energetic trek a visit to the Los Hervideros volcanic coast and sea caves is certainly special. Explore the unusual caves and lava formations that are scattered into the ocean. And for more stunning volcanic caves visit Cueva de Los Verdes located close to the town of Los Mujeres in the north east of Fuerteventura. The Timanfay national park is arguably the islands biggest attraction with its active volcano, you will the feel the warmth of the stones beneath your feet and the amazing surroundings are reminiscent of a lunar landscaper. 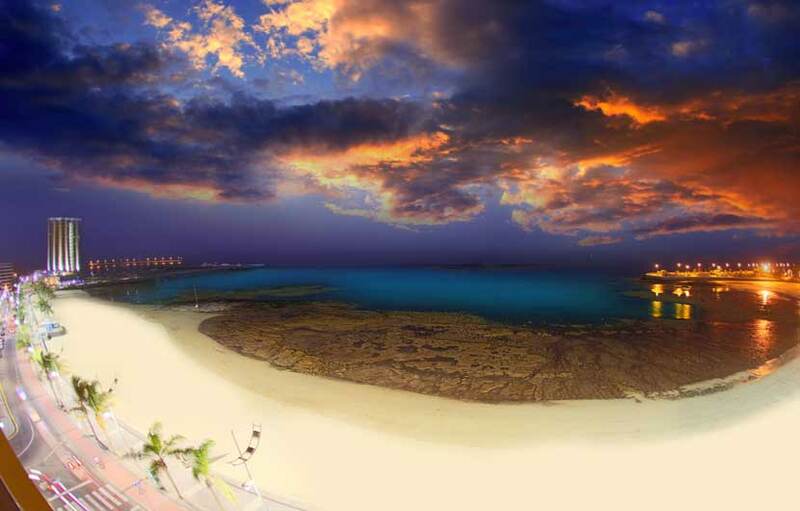 The longest established, and best known resort on Fuerteventura is Puerto del Carmen which offers everything you would expect from a quality Spanish beach resort even if you aren’t staying here this charming fishing town is well worth a visit. Caleton Blanco is located in the north of the island close to the town of Orzola, it has all the ingredients you need for a fab day at the beach with pristine white sand, crystal clear waters along with striking coastal views. There is a wooden walkway to give you easier access across the dunes to the main beach area. Now we wouldn’t normally recommend that you go knocking on people’s doors asking to see their collections but in this case we will make an exception! Jose Saramago has brought together one of the largest collections of book and paintings you will find anywhere and to see them all on display is quite something. Another popular area is the Charco de los Clicos with its famous Green Lagoon. The lagoon is hidden inside a cove surrounding by mountains and makes for a fascinating excursion. If your looking for historic value then the Casa del Timple is a must place to visit. Constructed in the 18th Century it once housed the governor of the island. If you are wine lover then a trip to La Geria Wine Region is highly recommended. This unique vineyard with wide spaced vines grown in black soil produces some world class table wines including Malmsey. If you want to get out and eat something good, in Lanzarote options are plenty. Restaurante El Navarro, in Costa Teguise, perhaps one of the most popular family restaurants in Lanzarote, where local dishes are made with fresh products daily, the service is impeccable and the food is delicious . In Puerto Calero, at Cafe de la Plaza, a lovely boutique cafe to relax after a walk, enjoy afternoon tea with a slice of lemon cake … a delight! In El Golfo, another good dining option is at Casa Rafa Restaurante de Mar, especially if you’re a lover of fish dishes, here you can enjoy carefully prepared dishes, made only from top notch fresh produce. If you fancy something more easy like a nice burger try Chacho Fresh Burger in Playa Blanca. 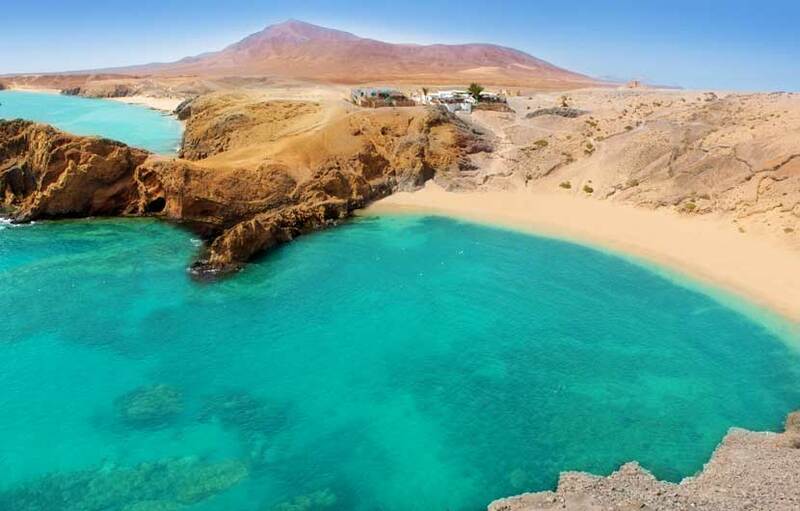 For exceptional budget accommodation try the quaint Casitas Tabayesco located in Haria close to Arrecife. This small property offers 8 well-appointed rooms that are accompanied by a range of essential amenities and free wifi to ensure guests have an enjoyable stay. There is an on-site restaurant serving delicious seafood cuisines. Sign Up For Our Newsletter..it's FREE! Receive exclusive news and travel articles, insider tips, blog updates, free competitions and more! Hey there...Before You Go ! Don't miss out on receiving exclusive travel articles, insider tips, blog updates & free competitions!